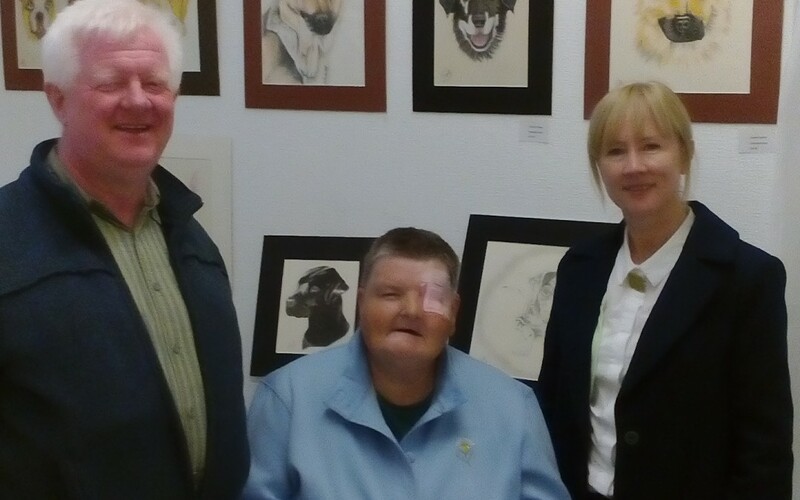 Hounds and Horses is an additional exhibition in the gallery annex featuring pastel work by Christine Smith an attendee at Sheffield Royal Society for the Blind. Following major surgery which left her only partly sighted in one eye she was introduced to art whilst attending sessions at Sheffield Royal Society for the Blind. Supported by the Society and her mentor Graham Shaw who runs a picture framing studio at Bank Street Art this exhibition is an example of her work.